Joe Frazier was a famous American boxer. Check out this biography to know about his birthday, childhood, family life, achievements and fun facts about him. Joe Frazier, nicknamed ‘Smokin' Joe, was among the most illustrious boxers in the history of the sport. He shot into the limelight when he won the gold medal in the heavyweight category in the 1964 Tokyo Olympics. Turning professional, he went on to become the heavyweight champion of the world, the first American Olympic champion to do so. In his three-year reign, he had the highest percentage of knockouts while never ever suffering the same fate himself. Frazier’s three fights with Muhammad Ali are legendary and regarded as some of the finest examples of classic boxing, endurance, and athletic courage. His first defense of the title, facing Ali, is hailed as ‘the fight of the century’, while his last world title challenge, dubbed the ‘Thrilla in Manila’ was a career highlight. Frazier was famous for the relentless fighting style he used to wear down his opponents. His sheer endurance, strength, agility, formidable punching power, including the left hook that he used successfully to knock out his opponents, are regarded as his most awesome qualities. Frazier died of complications arising out of liver cancer. 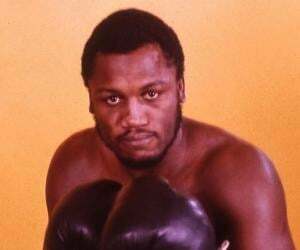 Born on January 12, 1944, in Beaufort, South Carolina, Joe Frazier was the 12th child of Rubin and Dolly Frazier. He was brought up in modest circumstances with the family relying on sharecropping and bootlegging of corn liquor to supplement their farm income. Joe first saw boxing action when the family bought a black and white television in the early ‘50s. His mother sold drinks to the neighbors coming in to watch boxers like Rocky Marciano, Sugar Ray Robinson, Rocky Graziano, and Willie Pep. Enthused by his uncle’s comment that he would be another Joe Louis, for the next 6-7 years, Joe practiced on a makeshift punching bag filled with moss, rags, bricks, and corncobs. He attended a segregated school, which, however, did not interest him much; Joe dropped out at the age of 14 and took up work at the neighbouring farms. A quarrel with a white farm owner made it amply clear to Joe that there was no future for him in Beaufort. In 1959, at the age of 15, Joe finally left home to join his brother, Tommy. With employment in New York proving very hard to find, young Joe took to stealing cars for a living. He soon moved to Philadelphia to stay with relatives and found work in a slaughterhouse, where he let his passion for boxing loose by punching the hanging sides of beef. Joe’s amateurish training gradually stopped and he soon weighed a hefty 220 pounds. However, in 1961 he decided to revive his dream of becoming the next Joe Louis and joined the Police Athletic League gym in Philadelphia. He soon discovered his Beaufort street-fighting skills to be inadequate and determined to learn quickly. Guided by Duke Dugent, the gym manager, and Yancey Durham, the trainer, Joe Frazier improved his boxing skills considerably and also slimmed down to 190 pounds. He managed to win the novice heavyweight title in ‘Philadelphia Golden Gloves’ tournament in 1962. He also triumphed in the Middle Atlantic Golden Gloves heavyweight championship for three consecutive years starting 1962. His aggressive fighting style was often compared with that of Rocky Marciano. 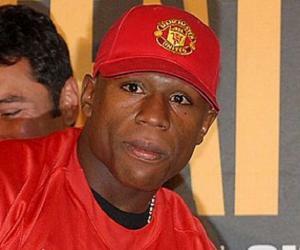 A devastating left hook and his fearsome reputation made him confident enough to regularly voice his ambition of becoming the world heavyweight champion. As an amateur, Joe had lost only to Buster Mathias so he was eager to avenge the defeat when the duo met in the 1964 Olympic Games trials final, however, he was defeated yet again. Demoralized at not qualifying for the Olympic team, he made up his mind to quit the sport but Duke Dugent and Yank Durham prevailed upon him not to throw away his future. Joe was also persuaded to join up as a substitute to Mathias in the US boxing team for the 1964 Tokyo Olympics. As luck would have it, during an exhibition match with Frazier, Mathias broke his knuckle opening up a spot in the U.S. Olympic team. At the 1964 Olympics, Joe ended up facing Hans Huber of Germany for the gold medal. Despite a suspected fractured left thumb, he took to the ring and won the gold medal. Joe Frazier turned professional after the Tokyo Olympics and made his debut on August 16, 1965, defeating Woody Goss by a technical knockout in the first round. Armed with a relentless approach and killer left hook, he went unbeaten in his initial 20 fights. He vanquished Buster Mathis on March 4, 1968, to win the New York heavyweight title. With another six wins under his belt, he became the heavyweight champion of the world by defeating Jimmy Ellis, the ‘WBA’ champion with a fifth round TKO on February 16, 1970. On March 8, 1971, Frazier handed Muhammad Ali his first career defeat with his legendary left hook in the 15th round of what had been hailed as ‘Fight of the Century’ at Madison Square Garden. In January 1973, Frazier lost his world heavyweight title to George Foreman, who, however, lost his title to Ali paving the way for a second Ali-Frazier battle. On January 28, 1974, Frazer and Ali fought again in Madison Square Garden but Frazier lost in a close fight. The duo met for the third time on October 1, 1975, in what was dubbed as ‘The Thrilla in Manila’. Frazier had to concede the match in the 14th round after his trainer refused to let him continue. Suffering a second loss to Foreman on June 15, 1976, in what was billed as ‘Battle of the Gladiators’ for the ‘NABF’ heavyweight championship, Joe Frazier hung up gloves. Joe Frazier made a brief cameo appearance in the first ‘Rocky’ film. He also appeared in two episodes of ‘The Simpsons’ and in ‘Fight Night’, a video game series. He owned and ran a gym in Philadelphia where he trained local athletes, including his own daughter, Jackie-Frazier-Lyde. During the late ‘70s, he created ‘Joe Frazier and Knockouts’, a soul-funk music group that recorded several singles and performed in a number of places in USA and Europe. In 1981, he attempted an unsuccessful comeback in Chicago: he ended being defeated in 10 rounds by Floyd Cummings. Joe Frazier won the 1964 Olympic gold medal beating Germany’s Hans Huber in the final. Frazier fought Mathias to win the championship title of ‘New York State Athletic Commission’ in March 1968. In February, 1970, Frazier trounced Ellis, the ‘WBA’ champion to become the undisputed world heavyweight boxing champion. On March 8, 1971, Frazier defeated Ali in a 15-round unanimous victory. He defended his title successfully twice before losing to Foreman in January, 1973. 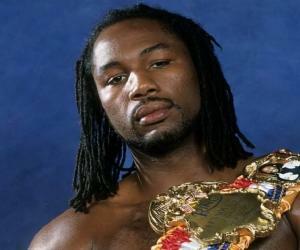 In 1990, he was the first member to be inducted into the ‘International Boxing Hall of Fame’. His career comprised 32 wins; 73% won by knockout, 4 losses, and one draw. Joe had children with Florence Smith, whom he married in September 1963, and a woman identified only as ‘Rosetta’, with whom he had two children. Joe’s marriage with Florence ended in 1985. Frazier had a total of 11 children, out of which son Marvis and daughter Jacqui Frazier-Lyde became professional boxers. At the time of his death on November 7, 2011, due to liver cancer, he was survived by Denise Menz, his partner of 40 years, and 11 children. A bad fall after being chased by the family’s hog injured his left arm seriously. Not being able to afford treatment, the arm was left to heal by itself, however, Joe was never thereafter able to fully straighten that arm. 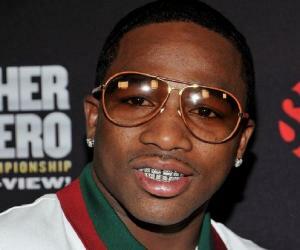 The bob-and-weave technique that he was famous for was developed to overcome his height disadvantage by his trainer, Eddie Futch. Frazier appeared in ‘Champion Forever’, a sports documentary along with Ali, Foreman, Holmes, and Norton. 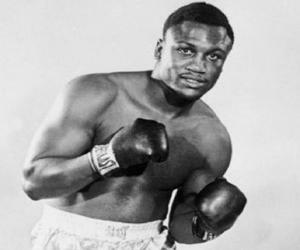 Joe Frazier authored ‘Smokin Joe’, his autobiography and ‘Box like a Pros’, a book on boxing history, rules, and technique.